Shoulder pain can occur for lots of reasons, but if you’re physically active at work or at play, then your shoulder pain might be due to a rotator cuff injury. These injuries are not unusual, especially for active folks. Professional and weekend athletes who routinely use their shoulders during a game or workout – swimming, rowing, pitching, playing tennis, or lifting weights at the gym – are prone to a rotator cuff injury. So are people who use their shoulders in their job to lift or carry heavy items. The rotator cuff is comprised of four muscles and the tendons associated with them. When you get a tear in this area, you’ll have pain during motion and at night when you sleep on the affected area. You may also find that your arm is weaker, especially if you don’t get treatment right away. The recommended treatment for many is rotator cuff surgery, an outpatient procedure that usually takes a few hours, depending on how much damage has been done. ü According to the Cleveland Clinic, it’s important that during your hospital stay and after your discharge you apply a cooling device and take pain meds if needed. But don’t think that just putting an ice bag on your shoulder will do the trick. Plastic bags with crushed ice or bags of frozen peas might seem like your only option, but these methods are uncomfortable, hard to stick with, and if you’re not careful, you can ‘burn’ your sensitive skin with the cold. ü Steven Sampson, MD, a board-certified osteopathic physical medicine and rehabilitation doctor in Southern California, began recommending that his patients use a system which delivers adjustable cold therapy and intermittent compression in a comfortable and portable shoulder wrap. One of his patients who had undergone three surgeries found that after his third surgery, the use of this integrated therapy system helped him recover faster. The patient used the integrated cryo/compression system for four weeks and loved its portability and convenience. ü A review of 43 articles that reported on the management and rehabilitation of rotator cuff disease found that, “successful management of rotator cuff disease is dependent on appropriate rehabilitation.” This evidence-based medical review concluded that using cryotherapy for days 1-6 for pain and inflammation and days 7-28 as needed for pain and inflammation is the recommended treatment for rotator cuff surgery recovery. You recover more rapidly from surgery and move more quickly through the stages of rehabilitation when your rotator cuff surgery recovery starts with an integrated space-age system that captures cold and compression therapy in one simple-to-use, convenient, portable and reliable solution. Adjustable temperature control, a specialized shoulder wrap that stays comfortably in place, and adjustable treatment time all are designed to help you, the recovering patient, get your shoulder injury behind you as fast as possible. Use the system that professional athletes in all types of sports depend upon and get your own game back faster. 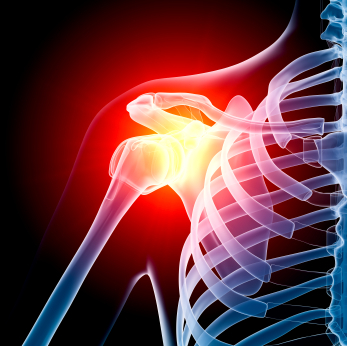 How did your rotator cuff injury happen and what post-op therapy did you use?